It’s our annual tradition to post Thanksgiving leftovers the week after the tasty turkey day, and here we have one without turkey! 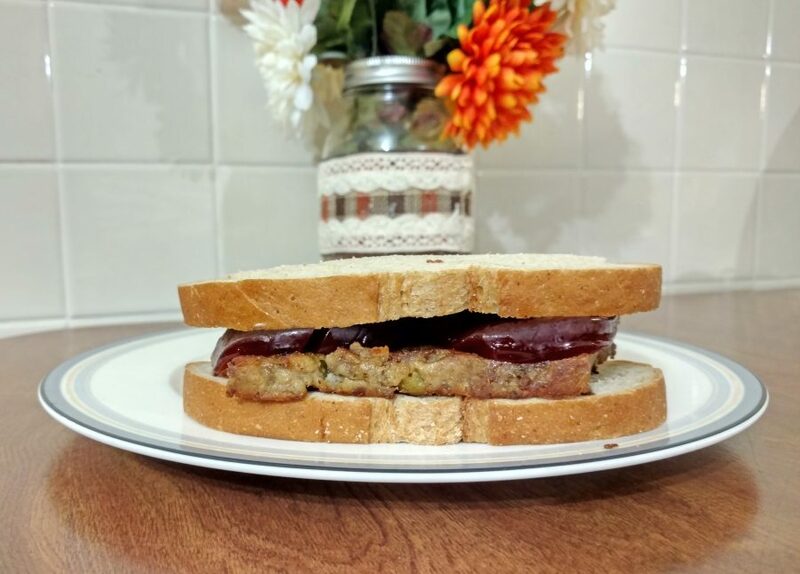 November guest photographer James O’Meara gives us fried stuffing– your favorite Thanksgiving mash-up of flavor, crisped to a new texture of perfection– topped with sweet canned cranberry sauce– the best can-shaped “fruit” out there. Throw it on well-cut rye bread and enjoy the carbs. Though Thanksgiving (and November) is over, let’s give thanks to James for his month of service. We know he’d thank us for a reason to pig out on sandwiches all month!